Point of No Return: Jewish Refugees from Arab and Muslim Countries: Were Moroccan Jews refugees? In spite of Morocco’s reluctance under the French protectorate to allow a mass emigration of its Jewish subjects, and later the reassurances by Balafrej and the king’s declaration, 108,000 Jews made aliyah between 1948 and Morocco’s independence in 1956. According to Israeli historian Yigal Ben-Nun, 237,800 Jews immigrated to Israel from Morocco between 1948 and 1967. Most did so out of a strong Zionist conviction, while the others longed for better economic conditions. 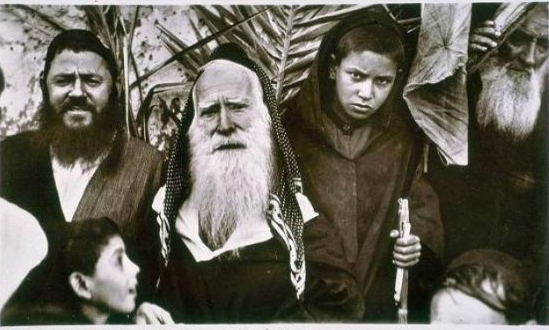 To claim, however, that the Moroccan Jews who made aliyah were refugees denigrates them by distorting the historical facts and denies that they were ardent Zionists. As for the other 20,000 Moroccan Jews who immigrated to France and Canada, where they established thriving communities, it would be likewise preposterous to call them refugees, especially since many continue to maintain strong economic, cultural and academic ties with Morocco. Indeed, unlike other countries, Morocco has never stripped its Jewish citizens of their citizenship. How much of the emigration of the Jews of Morocco was influenced by the attraction of the Jewish state?Many saw the rebirth of the state of Israel as a messianic event marking the end of exile and its torments and the beginning of redemption. Their identification with the Judean motherland over the millennia had not dimmed; Jewish liturgy identified the return to Zion with the end of Humiliation. Jewish life on Moroccan soil certainly had its great peaks of symbiosis, but also troughs of great distress. Although many Jews served their rulers loyally, the great mass of people endured difficult conditions, and not only in times of crisis. But pride in the rebirth of the Jewish state was a feeling shared by many Jewish communities throughout the world, without their witnessing a massive exodus.